SkyPixel, the world's most popular aerial photography community run in cooperation with DJI, has selected some of the best aerial stories submitted to the 2017 SkyPixel Photo Storytelling Contest. 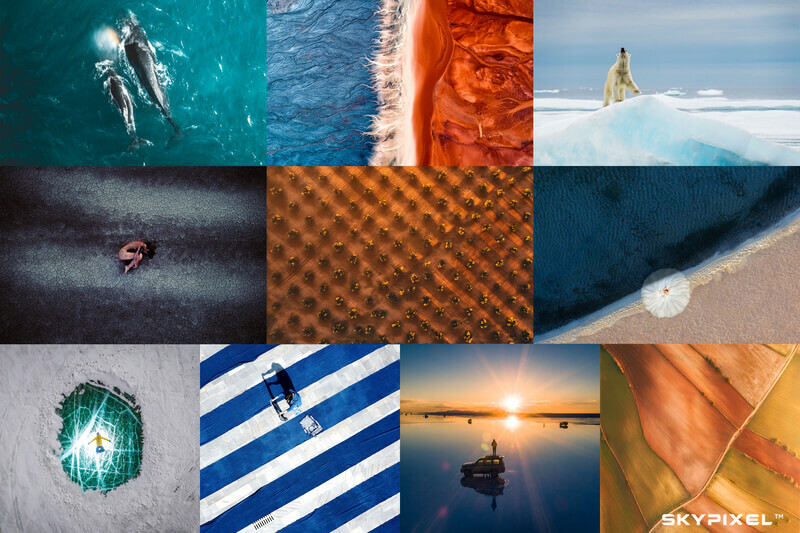 From a crystal selfie in the middle of Lake Baikal to witnessing a polar bear hunt in Nunavut, each photo is a story in itself, providing audiences with fresh perspectives of the world we live in. These photos not only represent some of the best work submitted to the contest thus far but also capture key moments of 2017 as the year comes to an end. The 2017 SkyPixel Photo Storytelling Contest continues to welcome entries until December 29, 2017. Participants can submit their photos to three different categories - Landscape, Portrait, and Story (which requires a series of photos taken from the ground and in the air), for a chance to win up to $15K USD worth of prizes. To enter, visit https://www.skypixel.com/events/photocontest2017/info. The final winners will be announced on January 31, 2018. This year’s Grand Prize winner will receive prizes worth approximately $15k USD, including a DJI Inspire 2 with Zenmuse X7 DL-S 16mm F2.8 ND ASPH, an iPhone X 256G, a Nikon D850 FX-format Digital SLR Camera Body, a Lowepro Pro Runner RL x450 AW II, a Manfrotto MKBFRC4-BH Befree Carbon Fiber Tripod with Ball Head, and more. Professional and Enthusiast groups will have a First, Second and Third Prize in each category, with rewards up to $7,000 USD. SkyPixel will also give out a Popular Prize reward to the top ten most liked entries and an additional nine will stand to win Nominated Entries rewards.